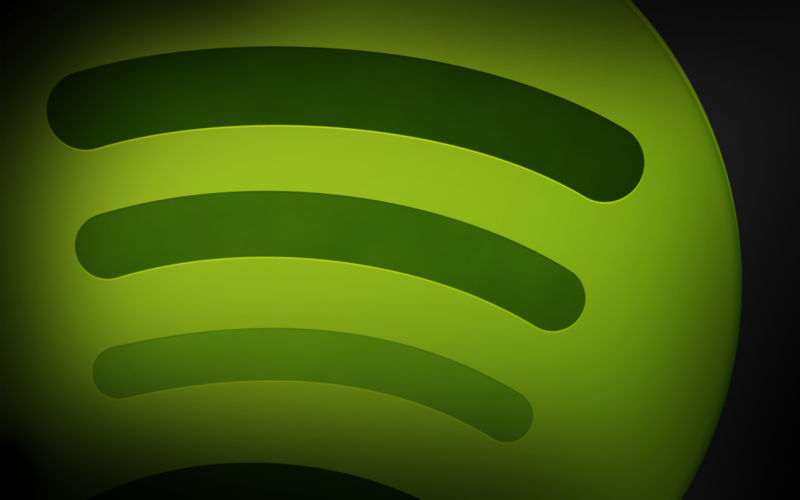 A few hours ago, the well-known client streaming music Spotify has updated its iOS app. On this new version, called 0.6.0, we have included several improvements, mostly focused on the user interface, providing a more natural navigation and even adding menus where access to as much information of our songs and artists favorites. This upgrade comes months since launched its Android counterpart, where and at the time were introduced such innovations. All of them have adapted perfectly to the characteristics of our terminals iOS, generating very positive reviews in the first hours of their release. As mentioned, the new update focuses on a whole new interface. Thus, the application can navigate through a new sidebar that appears to the left of the screen, which will access different sections of our own (lists, inbox, friends, options, etc..). Other features that have been introduced in this new version is the replacement of the old bar where it appeared a new menu bar at the bottom of your screen, informing you that song is playing at that moment that we minimize the option within the app hiding the current song. Many users had focused on getting this feedback to developers, so that in this case, have not been deaf and have taken into account the views and suggestions from users. The user can interact with it, going to the next song, see the information of the song that is playing at that moment, turning on / off the shuffle mode, display information about the current track and even more able to use AirPlay devices . 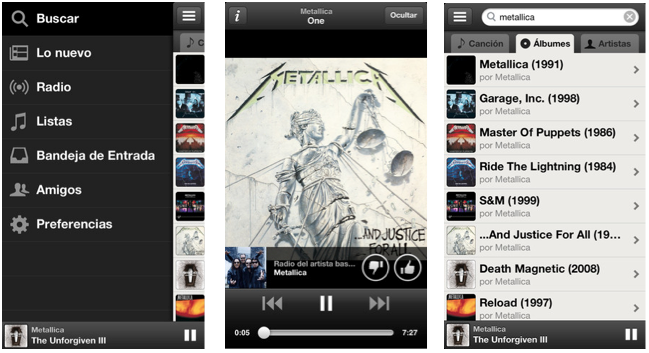 Besides adding a context menu of songs, developers have solved various problems and bugs reported by users. Here's the link to the application to the App Store, reminding you that it is compatible with iPhone, iPad and iPod Touch. While the download is free, requires a premium subscription to use the synchronization and streaming music in the terminals, but is able to enjoy all the benefits for a period of 30 days.